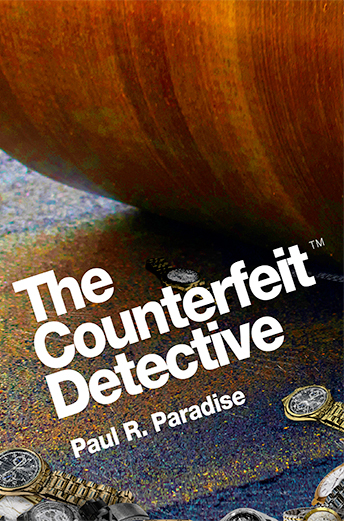 A picture of a steamroller flattening seized fake watches was used to create one of two book covers for my upcoming novel, The Counterfeit Detective. At this juncture, it will likely be selected for the book cover rather than the other book cover design. A publicity picture acquired from Cartier Watch Company that was used in my book Trademark Counterfeiting, Product Piracy, and the Billion Dollar Threat to the U.S. Economy was the inspiration for the book cover. Years ago, Cartier sectioned off a portion of Fifth Avenue and lined it with seized counterfeit watches, and then used a steamroller to flatten them. The fake watches were ones seized by private investigator David Woods. Note: I scanned and tried to upload the black and white publicity photo but it didn’t look good . 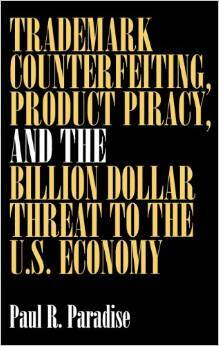 . . so you’ll have to buy my non-fiction book on trademark counterfeiting to see the photo.